I quickly sent a text to my friend Ritah and asked her to send me the song ‘Shackles-Mary Mary’ because she is my song bank.. and she did! I replayed it and it was clear that the lyrics spoke to me just the way I wanted them to. I have been immobile for seven days, which is a lot for anyone but even more disturbing for a victim of OCD like yours truly. I have my days, weeks, months planned out but it is true what they say, time certainly doesn’t wait for anyone. I slowly looked at everything urgent, important, urgent and important and the not so important ones and kept telling myself the next day would be better. When I noticed the universe wasn’t in agreement. I slowly cancelled everything and only maintained the weekend rendezvous’ which I sadly had to miss too. Last night I received the image of a cake for a do I had helped put together and I could almost hear my tummy yell. ‘Let’s go get that! !’ but well, that didn’t happen. Having four walls closing you in can be disturbing. You think of the most random things. I tried not to look at the time, keep offline mostly and away from phone calls under the pretext of bed rest. That meant that I had to use my brain for other things EXCEPT self pity. Not the easiest thing to do under those conditions but well, you fake it till you make it. And then the 7 days blogging challenge happened! I wished I could take part but I sort of did, as an admirer and appreciator, right? I waited for that hour of the night when sleep would elude me and then I began to follow link after link, read one blog post after another, grinning,frowning,smiling.Name it. It was exciting, not in a ‘I want to scream’ type of way but more like I could-get-used-to this. Could it be that God timed this just for me? 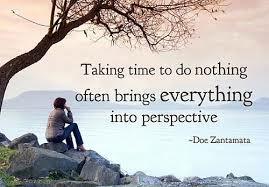 To slow down a little and take in everything else that life is about? Good reads, silent meditation and everything in between? I lay in bed and read every article in the dailies like a curious tourist in a foreign land. I got round to reading some magazines full of celebrity gossip that the mother had got me a while back which I never had time for. They can have a lot of rubbish but a dream outfit here and a holiday destination there never hurt anyone. Oh! some eye candy too. Wait, perhaps I enjoyed this a little too much. Whereas I didn’t intend to take time off, and it wasn’t the most painless affair either-I did get time to think about a lot of things. In the meantime, I shall be getting these shackles off so I can- DANCE! !